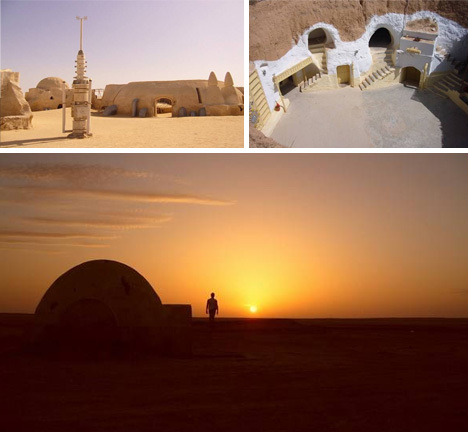 Yes, you can spend the night in Luke Skywalker’s home, see the hermit habitat of Obi-Wan Kenobi up close, and view other remnants of the original Star Wars movie via a series sets turned since turned into long-standing habitable buildings (contemporary on-location photos above by Könczöl Gábor and maciekke). 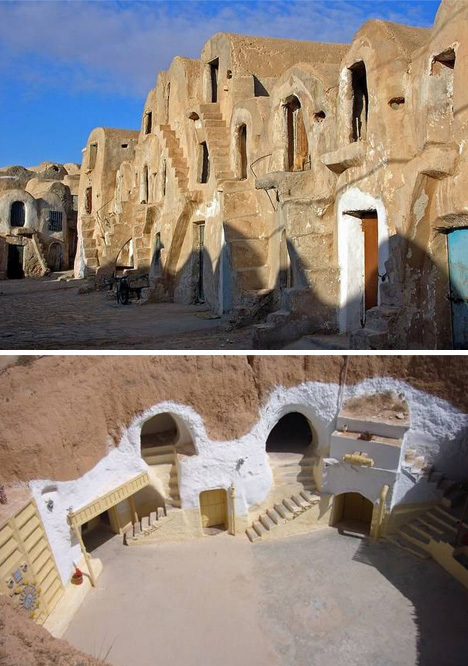 Los Apos provides an introductory guide with coordinates should you find yourself wandering Tunisia – meanwhile, here are some of the highlights of the journey, including bits and pieces of the fictional Mos Eisley and Espa. Some of these buildings survive the first film trilogy, while others were rebuilt for the second series (or first, depending on how you look at it). But why? 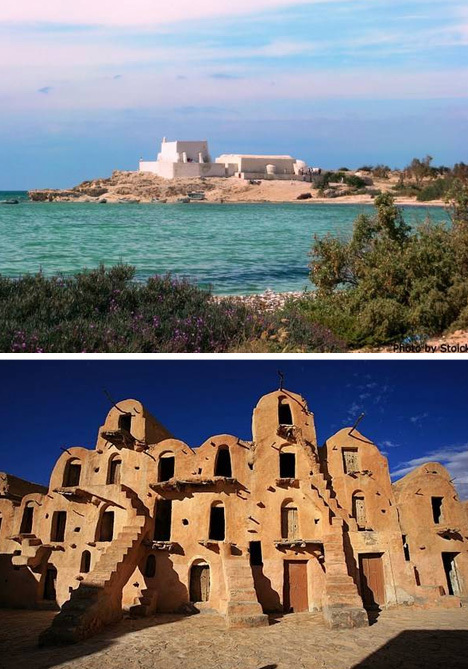 Because, in many cases, locals saw the structures as entirely serviceable and kept using them for housing, hotels, shops, storage and more. 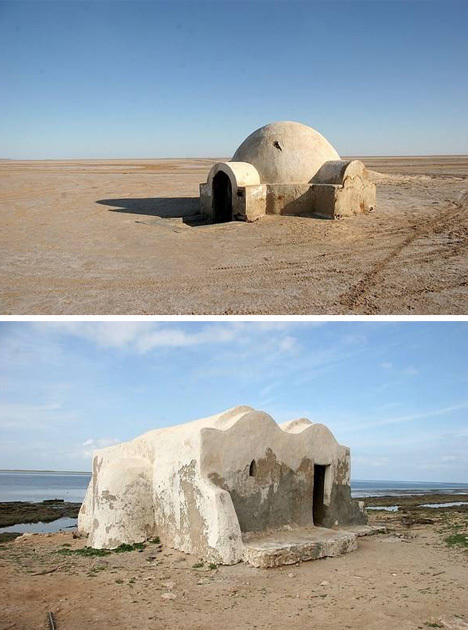 Savvy fans will recognize even building-free locations where Sandcrawlers roamed, Tusken Raiders pounced or Stormtroopers attacked. 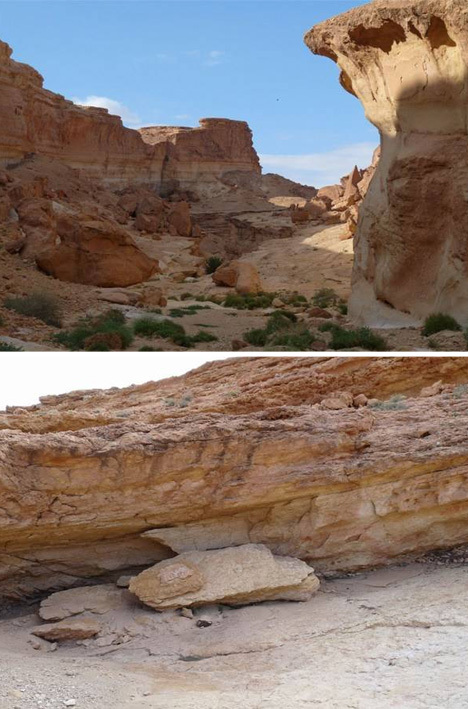 These are, one might say, the landscapes you are looking for. Still, whether the trip will spoil the fun or enhance the fantasy all depends on the traveler.